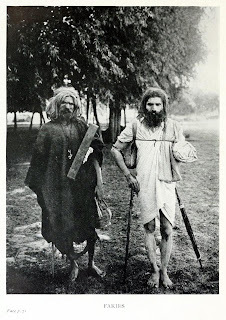 Tradition says that Kashmir was once a tributary of China; and because there was not much money in the valley and cattle was difficult to transport, men and women were sent yearly as tribute to that country [Begar System]. When Zainulabadin [1423-1474] obtained possession of Kashmir he declined to pay the tribute, whereupon the Shah-i-Chin sent a parwana, censuring him, and threatening him that if he did not quickly comply with the custom of his predecessors in the valley he would make war on him, and ruin him and every one and everything belonging to him. Now Zainulabadin had heard of Chinese, of their vast numbers, and power, and cleverness, and therefore was somewhat frightened by these stern words. He took counsel with his ministers and friends as to what he should do, but they could not help him. He then sought advice from faqirs. At that time there lived in Kashmir a very famous faqir by the name of Bahadin [Ziarat of Bahauddin Sahib is near Akbar's rampart, Hari Parbat. And built atop the ruins of the temple of Pravarisha, built by King Pravarasena II, founder of Srinagar in around middle of sixth century], who begged the king not to be distressed, and promised to arrange the matter for him. This faqir, by virtue of his sanctity, flew over to China in the twinkling of an eye, and brought back the Shah-i-Chin lying on his bed to his own humble abode. In the morning, when the Shah awoke and found himself in a meager hut, he was very much surprised. The Shah-i-Chin was pricked to the heart by these words, and cutting his finger, so that the blood oozed out, he called for a pen and some paper, and at once wrote an order declaring Kashmir an independent state. Then Bahadin presented him with some peaches, apricots, walnuts, and other fruits, and caused him to arrive at his country again. When the Shah related to his people what had happened to him and what he had seen, his people would not believe him; but afterwards, when he showed them the differed fruits that the faqir had given him, they were convinced, and applauded his deed. ~ A footnote in 'Folk-Tales of Kashmir' by Rev. J. Hinton Knowles (1888). 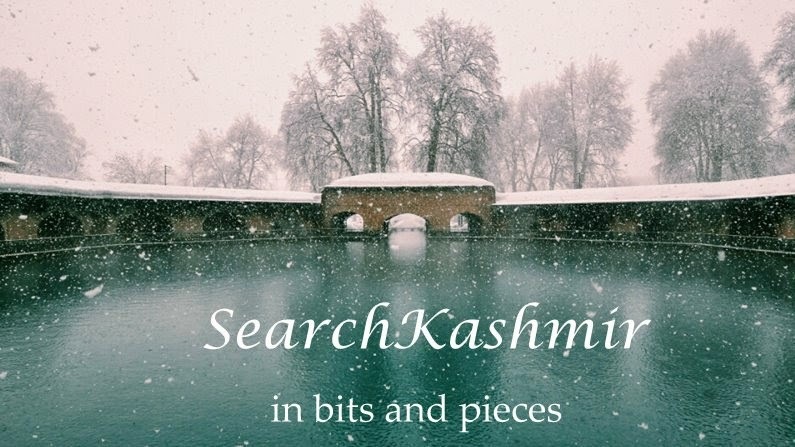 Kashmiris still tell strange tales of their saints intervening in wars and saving Kashmir. During the time of the Chinese progress in far West, Turkestan, Western Tibet, and Kashmir became part of the celestial empire. These conquests took place during the first part of the eighth century. From the Chinese annals we learn that “the first embassy from Kashmir arrived at the Imperial Court on or shortly after A.D.713. In the year 720 Tchen-tho-lo-pi-li, ruler of Kashmir, the Chandrapida of the Kashmir chronicles, was accorded by imperial decree the title of king.” It is of some interest to notice that the Kashmir book of chronicles, the famous Rajatarangini does not make the least mention of the subjugation of Kashmir by China, nor does it refer to the annual tribute that had to be sent to China. The Kashmir policy of those days seems to have been one of yielding to the strong and bullying the weal. It looks as id the Kashmir troops had not offered much resistance to the Chinese, and as if the Kashmir king had early sought the friendship of the Chinese. He was apparently quite satisfied with his recognition as a vassal king. It was different with Western Tibet. Although the land was split up into a great number of petty principalities, as will be shown more fully in the next chapter, the Tibetans were ready to fight; and the state which offered the most serious obstacle to the progress of the Chinese was Baltistan. Several expeditions became necessary against Po-liu, as Baltistan was then called, and the first of them took place some time between 736 and 747. With a sufficient army at one’s disposal, it could not have been very difficult to gain a victory over one or other of the numerous little kingdoms between Leh and Kashmir which were continually at war with each other; and this fact was recognized by the next Kashmir king, Lalitaditya, or Muktapida, the Mou-to-pi of the Chinese annals. He boasted of his victories over the Tibetans, and, although his expeditions against them were mere raids for the sake of plunder, he pretended he had been engaged in serious operations. ~ From 'A History of Western Tibet: One of the Unknown Empires' by August Hermann Franck (1907). "China supplied military aid to Kashmir. In Lalitaditya's time she [Kashmir] depended on Chinese help to fight the Tibetans...It is apparent that Kashmir as a subordinate ally assisted China in her enterprises in that region...so long as the Tang dynasty was in power, she evinced great strength. But with the decline of the Tangs...Kashmir is no longer seen to carry on a policy of expansion. She retired from the scene, never to appear again." 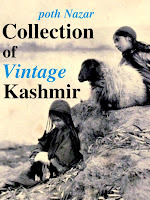 ~ Early History and Culture of Kashmir by S.C. Ray.